In 1949, John and Joan Karmali were one of the first mixed race couples in Kenya. John was an Ismaili Muslim of Indian origin, while Joan was an English woman. At the time, Nairobi was segregated and they worried about educating their children. They were not allowed to attend white schools nor colored schools, and generally had trouble belonging anywhere due to their biracial heritage. For this reason, the Karmalis, along with five other families, founded the Hospital Hill Primary School (HHS). The school was open to children of all races and included a teaching staff which reflected the diversity of its students. The multicultural environment at this school allowed for a lot of integration between students, their parents, and the faculty. People were colorblind. I was fortunate enough to obtain the perspectives of a former teacher and headmaster at HHS, Alan Cutler, as well as his wife and former teacher at HHS, Anne Cutler. In addition, I spoke with my father, Adil Suleman, who was at one time the head prefect at Hospital Hill Primary School in Nairobi in 1972. Alan Cutler came to Kenya from England in 1970 with a degree to teach geography. He had a passion for travel and had always wanted to visit Africa. Alan taught at HHS from 1970 to 1974 (specifically Standard 7-students aged 11-14), at which point he became the headmaster of the school. Alan now lives with his wife, Anne, in Canada. No but the headmasters of the schools in the area (including myself) would meet once a month. It was always a real eye opener to see what they were dealing with. There was a massive problem in Kenya at the time: There were not enough schools! As a result, parents would try to coerce headmasters to take students. I thought the headmasters at the local schools handled these situations professionally and respectfully. It was not an easy task. No, none at all. Students literally grouped themselves according to interests. Did you ever have difficulty communicating with the non-European parents? Fortunately in our school community, the parents were very well educated. They had chosen HHS to be the school for their children. Parents would even register their children while they were still in the womb! This was a big factor in the peaceful environment at our school. We sometimes didn’t agree, but there was no difficulty communicating. It changed over time. It was predominantly European with some Asian at first. 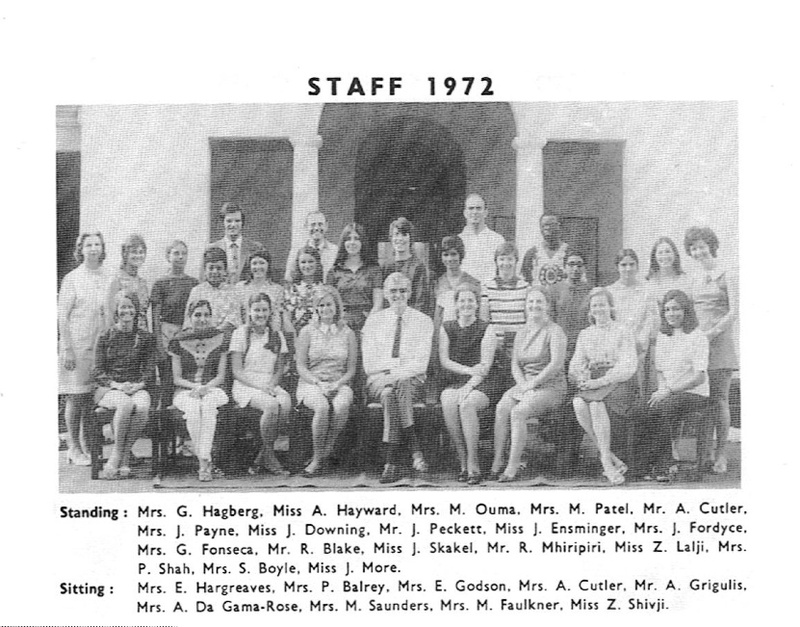 After a few years, the school began to hire more Asians and local Kenyans (although the Kenyans always had the lowest number). Were there ever any racially motivated fights at HHS? I don’t even remember a fight! I vaguely recall one boy involved in a fight…but he was expelled immediately. What was the climate like at HHS from the time you got there, until the time you left regarding racial relations between students? Phenomenal. Unique. I have never taught in anything like it before or since. My job in Birmingham, England was different because parents were poorly educated. There were lots of race issues and cliques there. Many parents (in Kenya) wanted their kids to be part of integration at HH, so they supported tons of activities. There were no real discipline problems. What initiatives were taken among the staff at HHS to improve race relations between students? Although children integrated, this was not the case with the parents. In 1975, a young American teacher wanted to start an afternoon program: In the afternoon students would go out and experience the community. For example, Asian parents would take a group of about five or six kids and teach them Indian cooking. Japanese families would work on origami and other crafts with the students and the list goes on. Anne was born in Nairobi, Kenya, during the Second World War. She is a former HHS teacher and now lives in British Columbia, Canada with her husband, Alan. 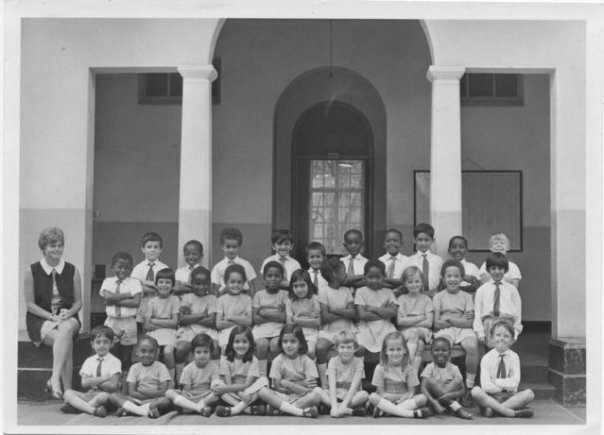 On this site there is an article by Anne entitled Teaching School in Old Nairobi. By being born in Kenya, was it easy for you to mix with the Africans? Or did your parents try to keep you separated from them? Dad had a workshop at home where I would hang out with the mechanics. It wasn’t every day, but we would sometimes play together. Other times, we would go down and watch them do the milking on my uncle’s farm. We certainly weren’t kept away. 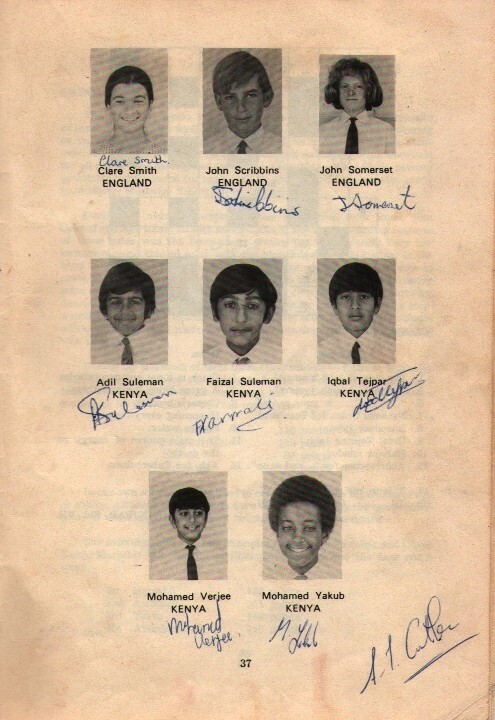 At the time, Nairobi was segregated so we went to an all European primary school. Why did you choose to teach at HHS? After teaching training, my mother wrote me a letter. She had met Joan Karmali. They had been talking about HHS, so long story short, I had a job waiting for me. I wasn’t sure how it would go. How could I teach kids of all these different backgrounds? 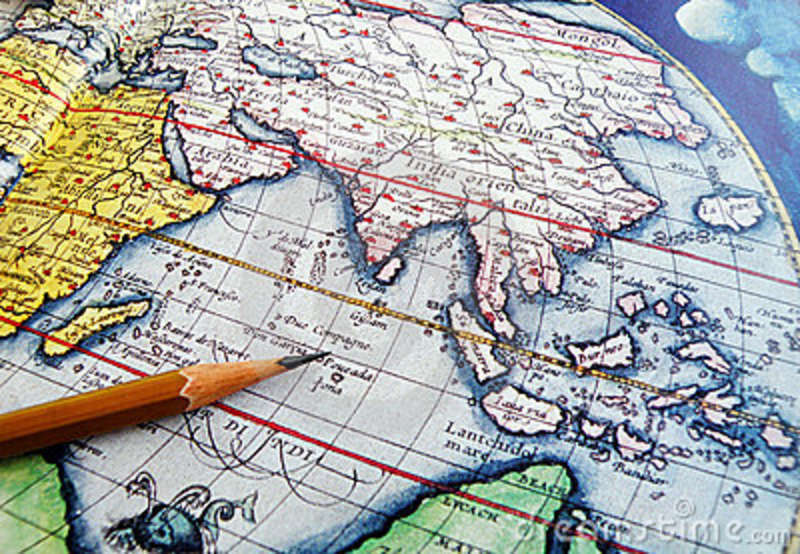 After all, I had servants and grew up very colonialist. I was pleasantly surprised. After the first day, you see individuals. Not color. It was truly life changing. I understand that there was a lot of social interaction after school at HHS (i.e. with parties in the evening etc.) Do you find that that there was a lot of mixing going on amongst parents and teachers? Teachers all hung out a lot. There was a lot of mixing and lots of fundraising! BBQs, parties, and potlucks…It was like going to international smorgasbord! There was even alcohol allowed in school! Saturday mornings the school would show a film to which the kids all came. It was a fundraiser but they loved it. That mixing seemed very natural. Why? Most of the parents had chosen the school deliberately. Those who couldn’t afford got help. The school population had similar socio-economic levels, and educational levels. Adil was born in Nairobi, Kenya. He attended HHS from Standard 1 to Standard 7 (when he was head prefect). Adil immigrated to Canada in 1974. He currently lives in Toronto with his family. When you first entered HHS in Standard 1, did you gravitate towards a certain population of students? Yes, initially I gravitated toward the Indians. I was young, and there was some comfort in being around people of your own race. But after Standard 2, any racial barriers were no longer an issue. I had friends of all backgrounds. Did you feel like there were racial cliques at HHS? Yes, there were certain cliques. It’s normal to have cliques in every school. They were groups of friends, simple as that. There were derogatory comments made to each other, but they were all in jest. Even though you didn’t know you would end up in Canada, do you feel like the multicultural environment at HHS prepared you for better integration in Canada? Absolutely. I had so many friends from different backgrounds that I expected a similar experience in Canada. I was ready for anything. When we finally immigrated I was a bit shocked because of the profound racism we experienced. Fortunately, Canada has become a lot more liberal and accepting to different cultures.